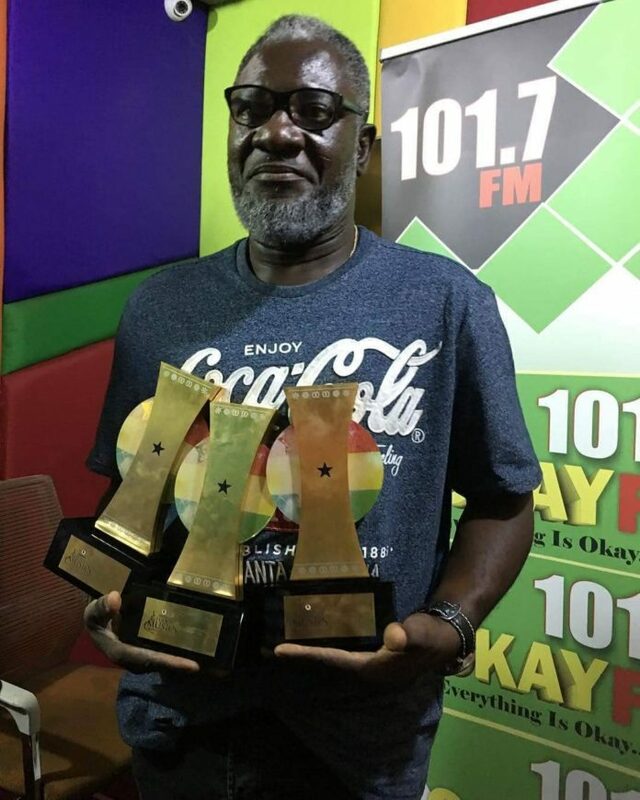 It’s being a while since we heard of the late Ebony Reigns’ father, Nana Opoku Kwarteng as the last time we heard of him was when he was chilling in an expensive hotel. Well, Mr Kwarteng has resurfaced and this time he takes a swipe at Bullet, the manager of the late Ebony Reigns revealing how much he was given as Ebony’s share from the concert. It can be recalled that after the death of the late dancehall diva, we woke up to the news that a concert was going to be staged to honour the late artist and probably create a foundation for Ebony by her label. Also, after Ebony’s funeral, the father in one of his numerous interviews disclosed that he didn’t make enough money to compensate for the loss of his daughter who was priceless to him. “The money I got from #Ebony‘s funeral is not worth it. My daughter is priceless. I wish I could get more than that all because my daughter is priceless so with that my doors, are open for more,” he said. He also added that he is waiting to receive some money form Bullet, the manager of the late Dancehall star who has been tipped to win Artist of the year at this year’s VGMA because he has heard her daughter made money on Youtube and other online portals. According to Ebony’s father, he was cheated by Bullet and that Bullet didn’t disclose the financial outcome of the concert to him. In an interview with Mike Two on Adom FM last Saturday, Mr Opoku Kwarteng hinted that he called on Bullet to render accounts after his crosscheck from Kasapreko indicated they gave Bullet Ghc90,000(Nine Hundred Million) for the concert and funeral. he added that he was surprised when Bullet showed him a photocopy of a cheque of GHc 39,000 as profits made from the concert and proceeded by saying that he was given just GH 2000 out of the GH 39,999 he(Bullet) got. “The funds they raised, I was only told so I demanded accountability. I also wanted to be sure because rumours had it that Kasapreko had given me 90,000ghc for the concert and funeral, which they announced. So I approached Kasapreko for clarification if they have given me that amount of money, which I didn’t know of,” he told Mike Two. “From the concert, all I know is after the deductions that were made by Kasapreko I was showed a photocopy of a cheque worth Ghc 39,999,” he added. The most interesting part of it all is, Ebony’s dad revealed that Bullet gave him Ghc 2,000 as Ebony’s share from the concert. “But Bullet brought me Ghc2,000. I have made my life, I have my own money my daughter’s money won’t add up to mine,” he revealed. According to the father of Ebony, he had no option than to take the money and inform Ebony’s mother on what he had received as their daughter’s share.